After intense scrutiny from an entirely client-side jury, the competition now boils down to 94 shortlisted agencies vying for glory across 14 contested categories, and the chance to be crowned this year’s overall Agency of the Year. Marketing is now delighted to unveil the finalists for this year’s Agency of the Year Awards and the MARKies. To check if your agency made the cut, click here. Last year’s overall champion, DDB Group Singapore, will be entering the competition with shortlists in the Brand Consultancy and Creative Agency of the Year categories. In what is set to be a nail-biting finish, some of the other agencies looking set to unseat the current champion includes Addiction Advertising, Mindshare, MRM//McCann, Ogilvy & Mather Singapore, TBWAGroup Singapore, Tribal Worldwide Singapore and more, after having been shortlisted across multiple categories. Also announced today are the shortlists for the MARKies, the awards segment that recognises great creative ideas and clever use of media. 170 campaigns were shortlisted for contest across 34 categories. Publicis Singapore leads the pack with 22 entries shortlisted in categories that include Best Idea – Content Marketing, Best Idea – Mobile and Best Use of Social. Not far behind is Havas Media Singapore with 15 entries making the cut including for Best Idea – Consumer Events and Best Idea – Sports Marketing, and also MEC Singapore with 12 shorlists. Click here for the full finalist list for the MARKies. This year’s jury consisted entirely of client-side marketers hailing from brands such as Citibank Singapore, Hilton, Kimberly-Clark, LEGO Singapore, Singapore Tourism Board and more. 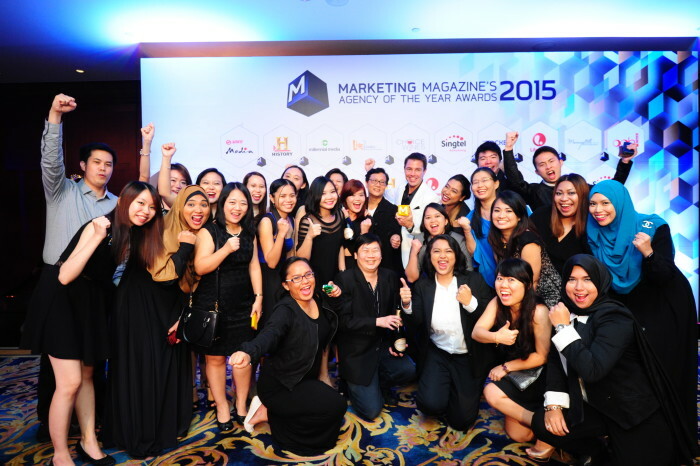 Winners for both the Agency of the Year categories and the MARKies will be announced at a gala dinner on 25 May at the Shangri-La Hotel Singapore. You may reserve your place at the ceremony here. For table bookings or any other enquiries, please get in touch with Johnathan Tiang +65 6423 0329 or email johnathant@marketing-interactive.com.